CAIT robot helped determine Arlington Memorial Bridge was in critical condition. ASCE thinks it’s a #GameChanger. The Arlington Memorial Bridge spans the Potomac River between Washington, DC, and Arlington, Virginia. Added to the National Register of Historic Places in April 1980, the 83-year-old bridge has needed more than a little TLC for some time now. In 1985, 2011, and 2012, repairs—primarily to the deck and sidewalks—closed at least one lane of traffic, often for months at a time. These and other interventions kept the bridge open, but it has never undergone a major rehabilitation. In February 2013, the RABIT™ team was called on to do a preliminary assessment of the bridge deck as part of the planning process for an extensive rehabilitation. At that time, the CAIT team gathered condition data on three lanes and reported findings to Bureau of Eastern Federal Lands Highway Division. Then, in mid-March 2015, the bureau asked the CAIT team to return and scan all six lanes of the 2,163-foot-long structure so they could get a comprehensive picture of the entire bridge deck. RABIT™ deployed its full suite of nondestructive evaluation (NDE) tools to assess how this historic landmark was faring. Working about four hours each day to minimize disruption for the average 68,000 vehicles that cross the bridge each day, the team gathered an immense volume of data and completed the assessment in just six days. Consistent with the investigation in 2013, they found widespread deterioration of the deck, especially debonding of the asphalt overlay, and serious deck delamination and reinforcement corrosion. The GPR survey described a significant percentage of the deck area as deteriorated and/or highly corrosive. In fact, results showed only 10 percent of the deck area could be described as good. Impact echo testing revealed, almost 80 percent of the deck was delaminated or debonding and between 30 and 60 percent of it was already in a serious or severe condition. Unfortunately, before repairs could be initiated, in April 2015 inspectors found the structural steel was corroding faster than anticipated and closed curbside lanes in both directions, four feet of the adjoining sidewalks across the drawbridge span, and imposed a 10-ton load limit indefinitely for the entire length of the bridge, eliminating most bus traffic, which impacts both commuters and tourists. On June 1, 2015, Congresswoman Eleanor Holmes Norton (D-DC), ranking member of the Highways and Transit Subcommittee, noted that underfunding of the National Park Service, which currently receives only $240 million for transportation projects nationwide, has led to a deferred maintenance backlog of $11.5 billion. As of this writing, repairs to the bridge are under way. The updates are adding new support beams, resurfacing the roadway, and strengthening the sidewalk. The first phase in the repair program is expected to cost $2.5 million, but the full $250 million rehabilitation could take three years or more to complete. Had the findings of inspectors, data that RABIT™ and the CAIT team gathered, and pleas for funding from Borders and the NPS been acted on earlier, some of the cost and inconvenience of the bridge closure may have been avoided or reduced. Based in part on its deployment on the Arlington Memorial Bridge, ASCE picked the RABIT™ robotic bridge deck evaluation tool as one of its #GameChangers. At an event on Capitol Hill in July 2015, ASCE debuted Infrastructure #GameChangers, a new report and associated website that profiles products, materials, and discoveries that could impact the outcome of the “infrastructure game” nationwide. “It’s important for us to celebrate the many accomplishments in the profession, and GameChangers is a way to do that,” said ASCE Executive Director Thomas W. Smith III. 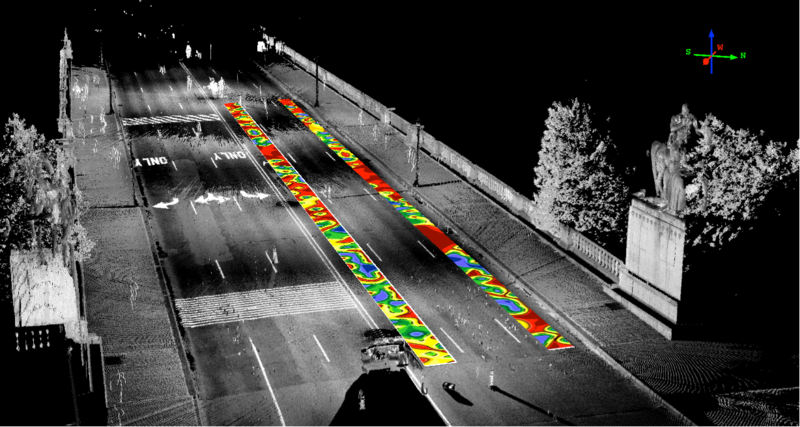 The RABIT™ was created at CAIT in partnership with FHWA to gather condition data to assess bridge decks. It simultaneously deploys multiple NDE tools autonomously, creating a picture of deterioration and other problems quickly, safely, and accurately. 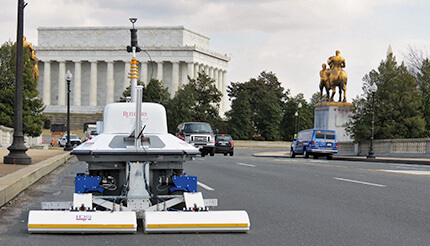 RABIT™ bridge assessment robot scanning the Arlington Memorial Bridge. Had the findings of inspectors, data gathered by the Rutgers robot, and pleas for funding from the NPS been acted on earlier, some of the cost and inconvenience of the bridge closure may have been avoided or reduced. ©N. Gucunski/Rutgers CAIT. Geotagged condition data visualization from the survey (top) and data superimposed on a lidar scan of the bridge (bottom). 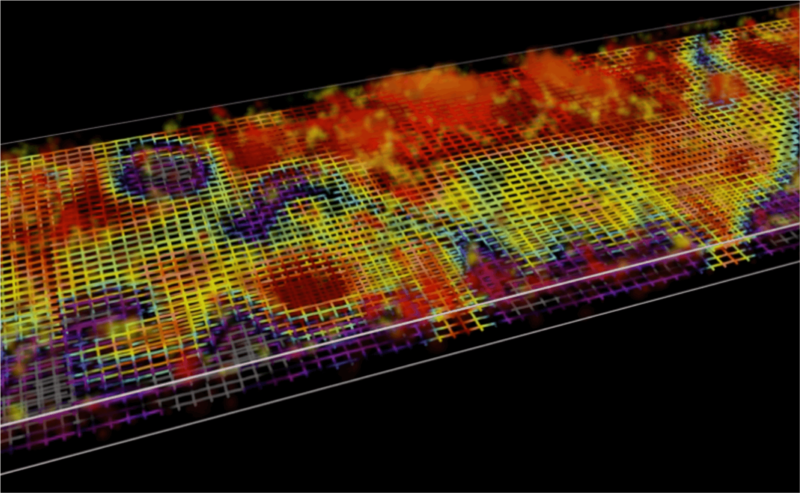 Images ©2015 N. Gucunski and J. Gong/Rutgers CAIT.